Free parking is available behind our building. The entrance to the parking lot is on the west side (you will see a mural painted on the side of the wall) next to the Goodwill Store. Feel free to use the back entrance to our office. Make your way to Islington Station (the West end of the Bloor line). Walk: Walk North along Islington Avenue on the West side of street. After going under the overpass, walk up the stairwell going up to that overpass. Continue walking North up Cordova Avenue until you reach Dundas Street West. Turn Left (West) onto Dundas (South side of street). Walk a block or two. Walk two shops past the funeral home and that is us! (4939 Dundas St. W.). Bus: The 50 Burnhamthorpe bus stops at Dundas St. W. and Burnhamthorpe. Exit bus and walk West along Dundas (South side of street). Walk a block or two. Walk two shops past the funeral home and that is us! 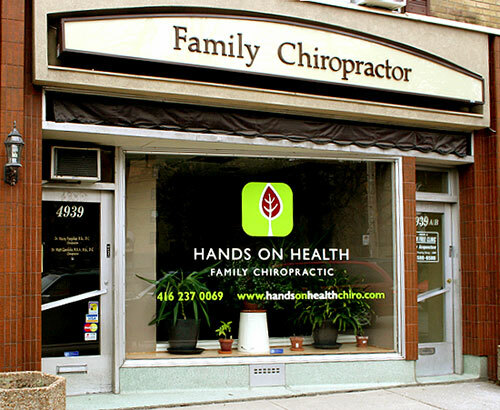 (4939 Dundas St. W.).